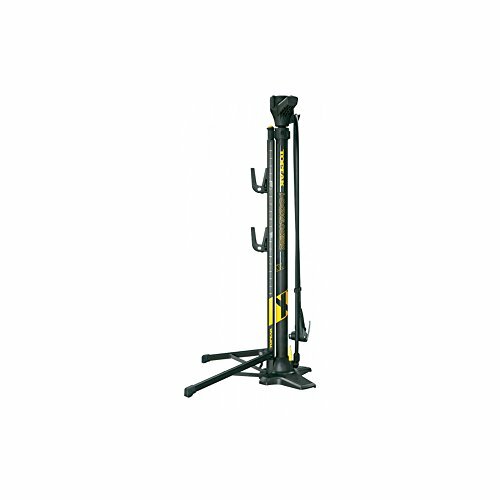 Portable and detachable bike stand/floor pump combo for maintenance and storage of your bike. It can be joined for more stability or separated to use individually. FEATURES adjustable hooks to raise rear wheel from chain stays and seatstay.